The Half Shell Oyster House has four different locations. Downtown Gulfport, Downtown Biloxi and Hattiesburg are three locations in Mississippi, the fourth location is in Sarasota Florida. Half Shell has a vast menu for everyone! 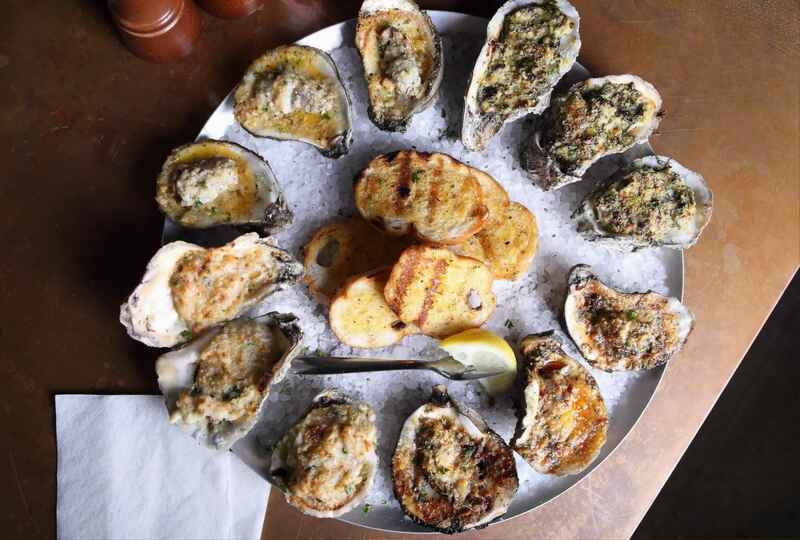 For all the oyster lovers, start your meal off with fresh, hand shucked oysters raw, charbroiled over open flame with special herbs, mushroom and seafood mixture, spicy New Orleans style buttery BBQ sauce, or Rockefeller. Choose from the delicious variety of seafood specialties, pastas, steaks, po-boys, salads, or some of the New Orleans favorites like the shrimp & grits. Half Shell offers daily and monthly specials, so don’t miss out on those! Whatever you decide to eat, it’ll be severed with some good old southern hospitality and with a unique French Quarter lighting and architecture framing the room, you’ll have a beautiful and unique setting for your dining experience.